IKBKB deficiency is a rare combined immune deficiency found in the Northern Cree, where T cells develop, but are non-functional . 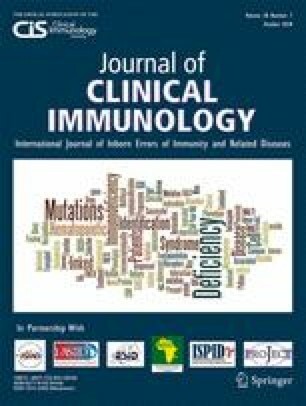 Although IKBKB deficiency is not technically a form of severe combined immune deficiency (SCID), these patients present with severe, early onset infections, clinically similar to patients with classic SCID, and respond to therapy with hematopoietic stem cell transplantation. IKBKB deficiency has been genetically confirmed or highly suspected in 16 Northern Cree individuals, who share a homozygous mutation (c.1292dupG), and originate from several remote communities in Manitoba and Saskatchewan (manuscript in submission).